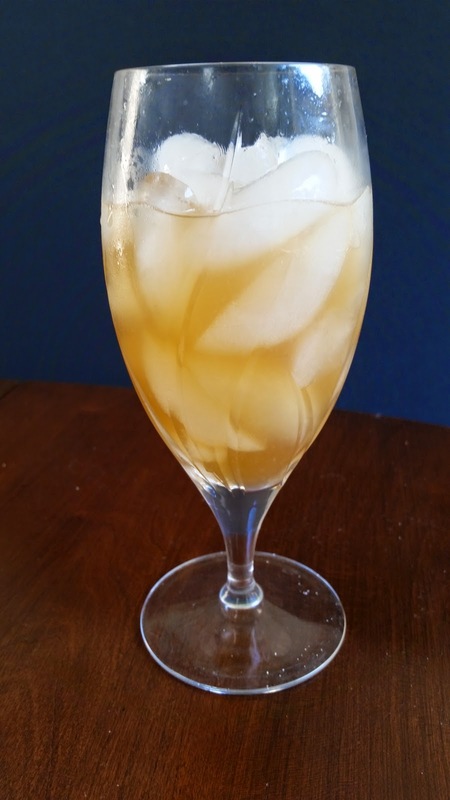 After enjoying the Curacao Punch from Ted Haigh's Vintage Spirits and Forgotten Cocktails, I decided I wanted to try a different version of the drink by bringing down the curacao and adding more spice. This one follows similar directions to the Curacao Punch. I like it better. All I did was add the Allspice Dram and lower the curacao to 1 oz (down from 2 ounces in the original Curacao Punch). The Allspice Dram comes through, which I love. And the other ingredients just complement it by adding caramel and orange notes. Tasty.